The Oklahoma Thunder has proven themselves to be one of the best teams in the world. No, not the Oklahoma City basketball team. I'm talking about the Sand Springs-based Little League baseball team. The six-and-under squad has spent the last four months winning tournament after tournament and wrapped up the season with a State Championship and World Series appearance. Luke Barnes, Jayden Bussell, Drake Charles, Jessie Hubanks, Hayden Luce, Hilkyah Sampson, Cason Sharp, Colton Stevens, Keiton Thompson, Caleb Thompson, Caleb Torkelson, Randell Vickrey, Carter Wood, Wesley Woody, and Kayden Worthington comprise Oklahoma Thunder, which is currently ranked number one in the nation by the United States Specialty Sports Association. The dominating team trounced their opponents by an average of 13 to 5 over the course of the season and won six tournaments. The Thunder went undefeated in the Sand Springs Youth Preseason Tournament, the Broken Arrow Striking Out Cancer Tournament, the World Qualifier in Bixby, and the State Qualifier in Sand Springs. They also placed first at the Bixby Annual Rings Tournament with a 17-11 payback win over Vinita's Dirty Dawgs who defeated the Thunder in the pool play. 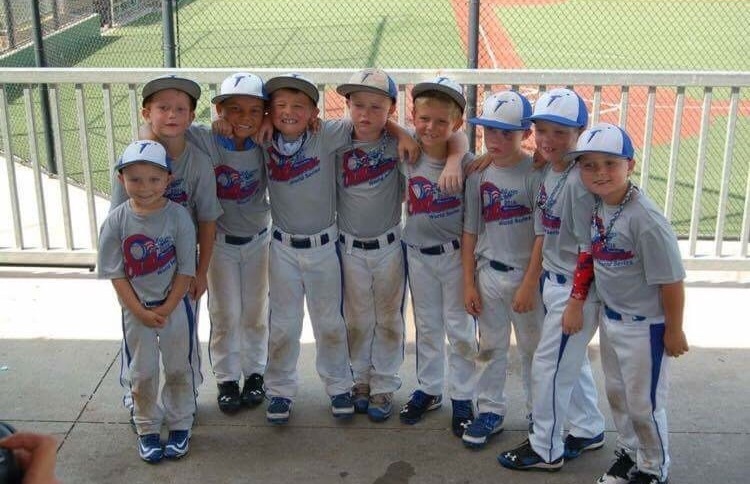 In June the Thunder competed at the Oklahoma State Championship at Tulsa Hilti Park and stampeded through the competition without losing a single game in the double-elimination tournament. All three of their opponents went down by double digits. Last weekend the Thunder set out for Arlington to compete in the USSSA World Series as one of only two Oklahoma teams to make the tournament. The Broken Arrow Razorbacks also qualified for the series. On day one the Thunder handily won their first game 12-1 over the Keller, Texas Outlaws, but tied 4-4 in the next game against the Texas Free Agents Elite. On Saturday they concluded pool play with an 18-5 rout of the Texas Reds to finish third in the pool. On Sunday the Thunder suffered a close 9-6 defeat at the hands of Team Citius Reyes and moved to the consolation bracket where they immediately began putting in work. The Calallen, Texas Sandcrabs put up a tough fight before going down 4-1. Next to fall was the Keller, Texas Gold Spikes who had just eliminated the Razorbacks. After that 12-4 win, the Thunder had to fend off another neck-and-neck attempt from the Free Agents Elite and prevailed 11-10. The Thunder season finally came to an end at the hands of the eventual World Series Runners-Up, the Spitfire Baseball team from Cleburne, Texas, in a 19-5 battle for third place. The Thunder may not have won the series, but fourth place is far from a disappointing finish. Needless to say, the local coaches will have their eyes on these boys for years to come.